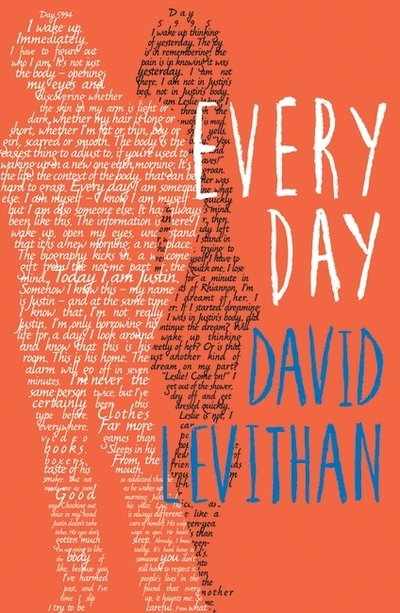 Finally published in the UK – Every Day is slightly less conventional than most of Levithan’s novels, and follows A’s story as (s)he moves from body to body, temporarily inhabiting the lives of others for 24 hours before moving on. This is how it’s been since A’s been conscious; and this is, (s)he thinks, how it’ll always be. And that’s no biggie – after 16 years of life, (s)he’s gotten used to it. Until he falls for Rhiannon and cannot stop him)(self from falling in love with her. But she’s a normal girl with a normal life, and A isn’t, his isn’t even a boy or a girl. So how could it ever work? As you may already have guessed – Levithan uses Every Day to explore what it means to be male or female, both, or neither. A, having grown up without (or better put, with a flexible) biologically gender, doesn’t think of people as boys or girls, male of female. For A, gender is an arbitrary line, irrelevant to everything except procreation. Rhiannon, on the other hand, struggles to think this way; her attraction to A is firmly linked to A’s gender; she loves him not necessarily because he is a boy but as a boy. A struggles to understand with Rhiannon’s view, as I think many of us would; though gender isn’t necessarily an important part of attraction, it is a part. It’s an interesting question that Levithan proposes and one, I think, that cannot be easily answered. Every Day is not a conventional narrative, thanks to Levithan’s intriguing proposal – what if you were to move from body to body every 24hrs? At the same time, however, it doesn’t take a lot of suspension of disbelief to believe A’s story, particularly as A is able to transcend and evoke it in equal measures. The premise may be supernatural but the content is not, and it is very easy to sympathise with A’s inherently human desire to be bound to someone else. However, the nature of the story does mean that it gets ever so slightly repetitive – despite Levithan’s best attempts against this – and the quality of the emotional climax isn’t as powerful as it could have been with a more generic (linear) narrative. On the flip side, the ever-changing environment A finds him/herself in does make this an original (and engaging) story. As usual, there are two sides to every coin. 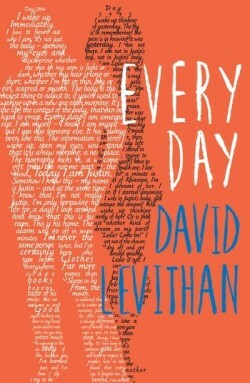 Every Day, then, is a powerful exploration of what it means to love, told in an unconventional way and by a writer who makes every sentence a pleasure to read – this book has been compared to John Green’s The Fault in Our Stars and I’m inclined to agree – they’re on very similar levels. What did you think about Every Day?